The third annual prospects report from DobberBaseball. 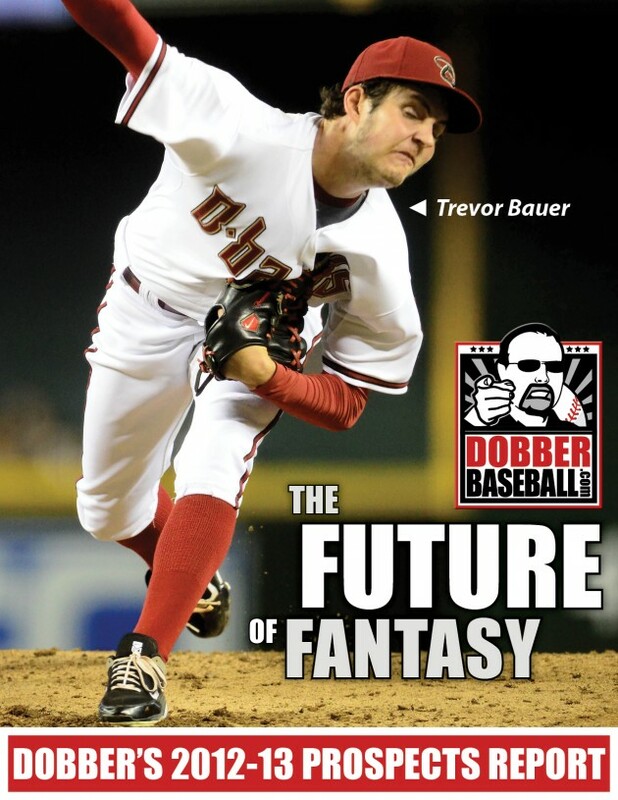 Features detailed analysis of over 400 major league prospects, including their upside and ETA to The Show. A must for serious keeper-leaguers! Adobe PDF document and Excel Spreadsheet. SKU: DFBPR12. Category: Archived Guides. The third annual prospects report from DobberBaseball. Features detailed analysis of over 400 major league prospects, including their upside and ETA to The Show. A must for serious keeper-leaguers! Adobe PDF document and Excel Spreadsheet. Available Now! Please login or register here, if you haven't already, prior to purchasing.